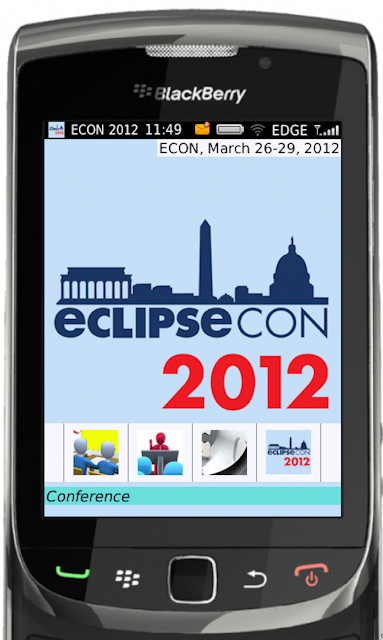 This year EclipseCon USA 2012 is at a new location: Reston, Virginia. 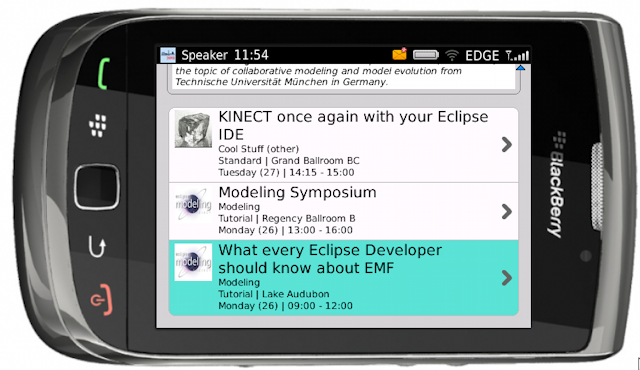 Unfortunately I cannot attend because I’m at MobileTechCon in Munich same week. 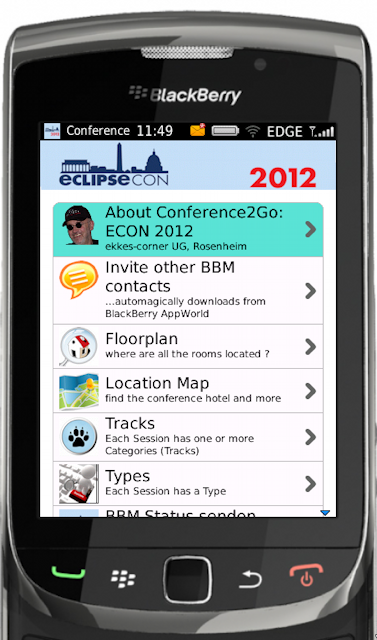 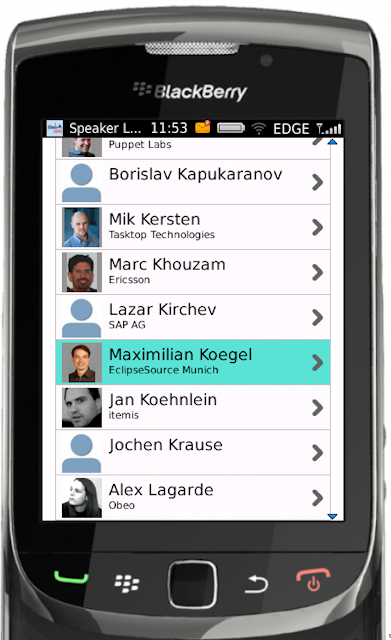 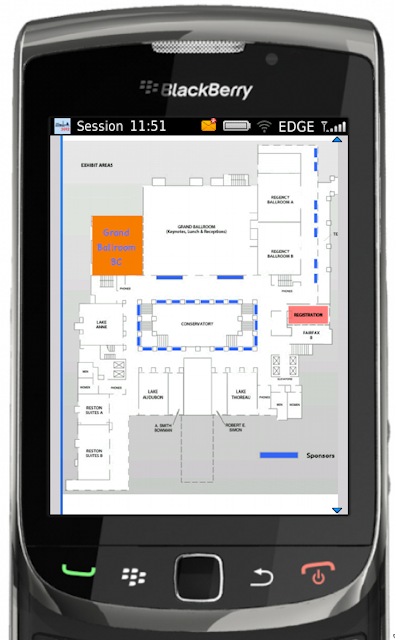 Of course – same procedure as every year – I developed the BlackBerry Conference App for EclipseCon 2012. 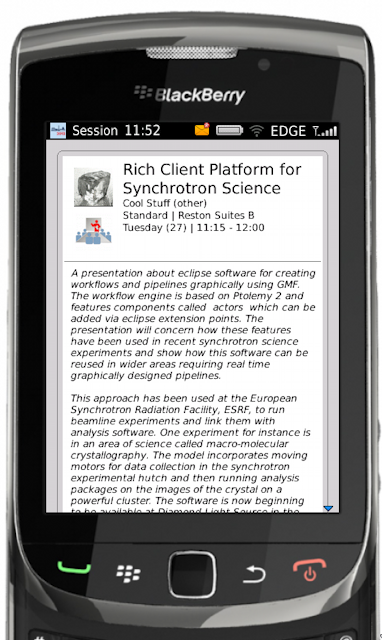 The Application comes preloaded with a SQLite Database and all Speaker Images to avoid roaming costs for international attendees. 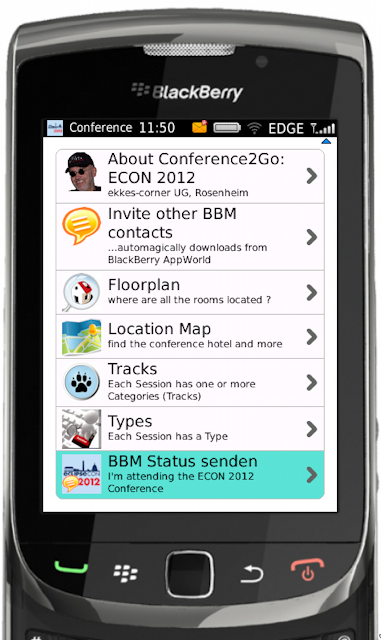 The Application is BBM-enabled and you can follow the documentation from Conference2Go ECE 2011 here. 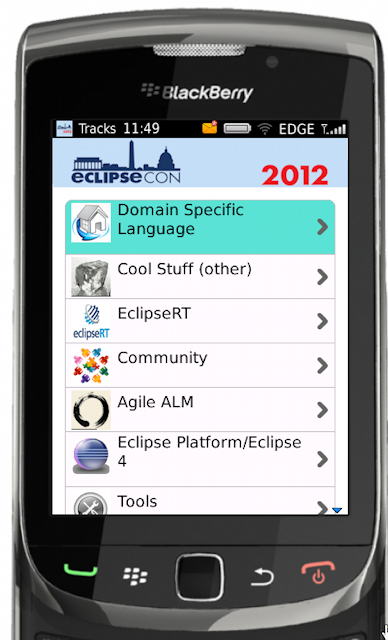 What’s new in this years edition ? 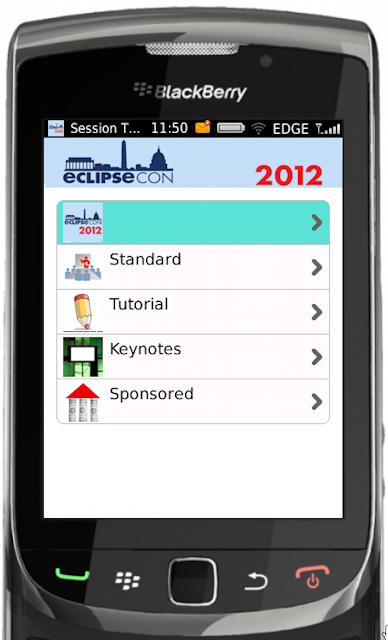 Next conference app for EclipseCon Europe 2012 will then also support Voting and LogIn. 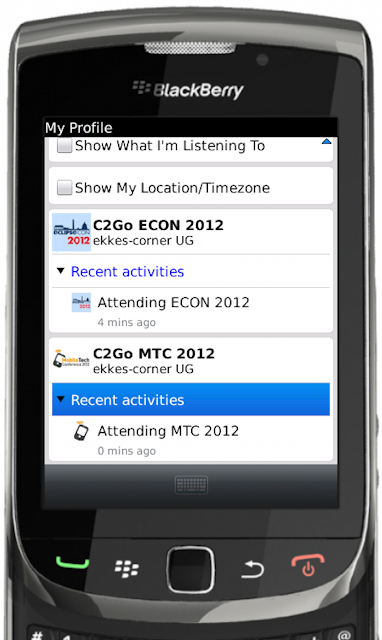 This App runs on BlackBerry OS 6 and OS 7 Devices, supports Touch- and classic Devices, needs BBM 6.0.1 and Devices with SD Card. 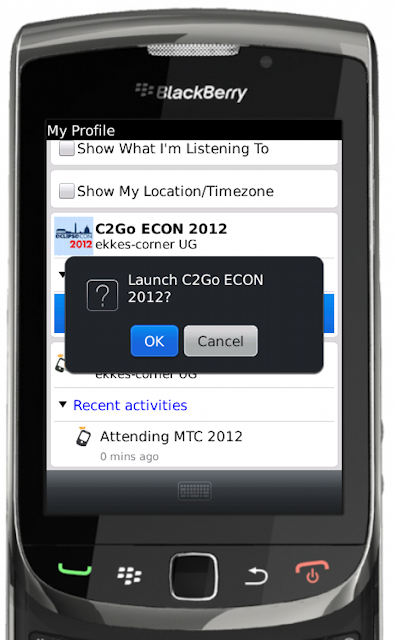 To see the Event – Location on the Map, BlackBerry Maps must also be installed. 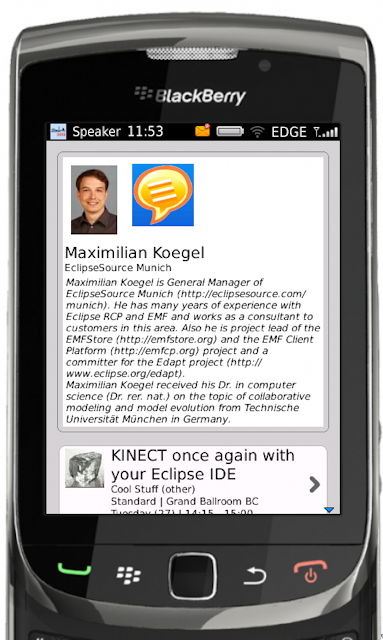 Of course you can rotate the Device: Portrait and Landscape is working. 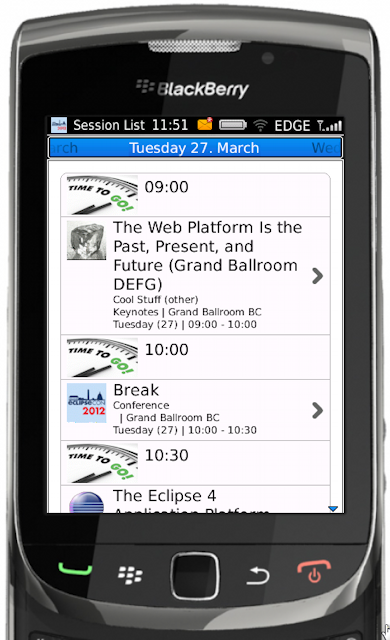 From conference to conference I’ll add more features, so pelase feel free to send request. 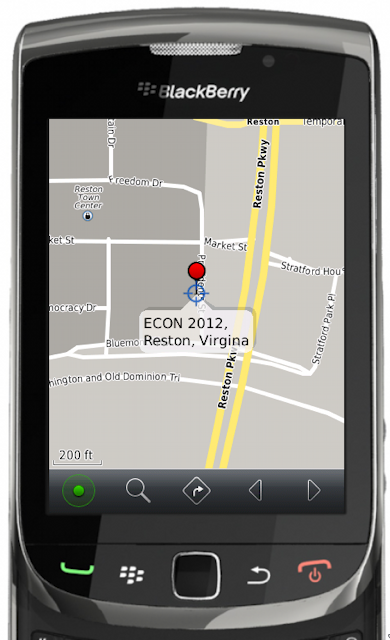 If you’ll find a bug, please send a report. 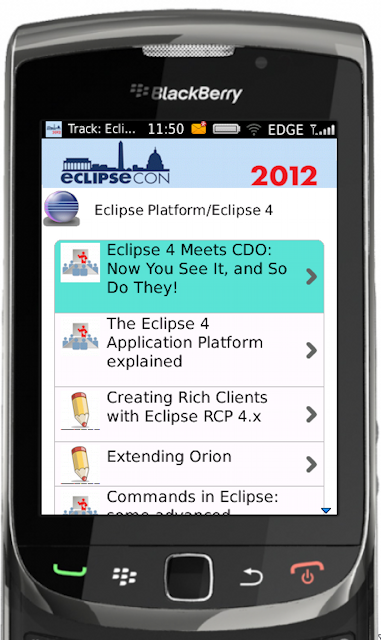 All my work is done for free in my spare time and I hope you enjoy the APP.